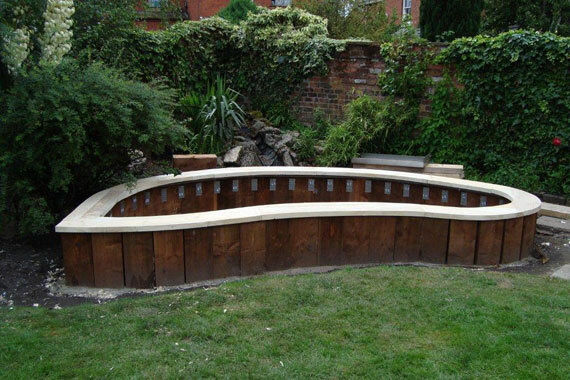 This was an unusual commission for a carp pool which was to be a curved and irregular shape made possible by it's unique construction. Using railway sleepers laid vertically it was possible to build a sweeping circumferance which was then topped with treated wood cut to shape on a bandsaw. I was able to fulfill all the requirements of the clients design. Danny and Ruth wanted a deep pool for carp which was allowed for in the construction. They also wanted a stunning, contemporary design and both were very happy with the result.